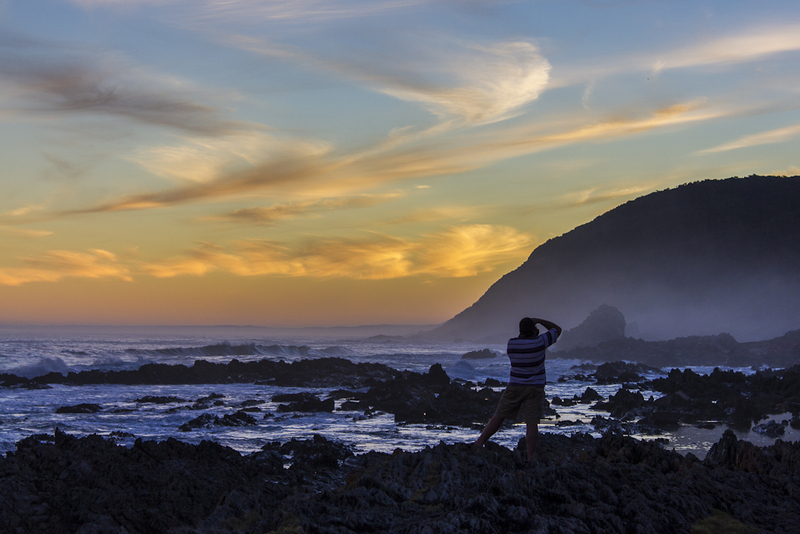 Last month I took a few weeks off and with a friend embarked on a road trip along the Garden Route. An early start from Cape Town and 5 hours later we stopped in Knysna for lunch at the Heads before carrying on to the Tsitsikamma section of the Garden Route National Park. We had planned to camp but I was little nervous of the winter weather along the coast and so opted to stay in the Forest Cabins. Nestled in amongst the dense foliage they don’t have a sea view but you are only 50 metres away from the Indian Ocean crashing against the rocks of this rugged coastline. 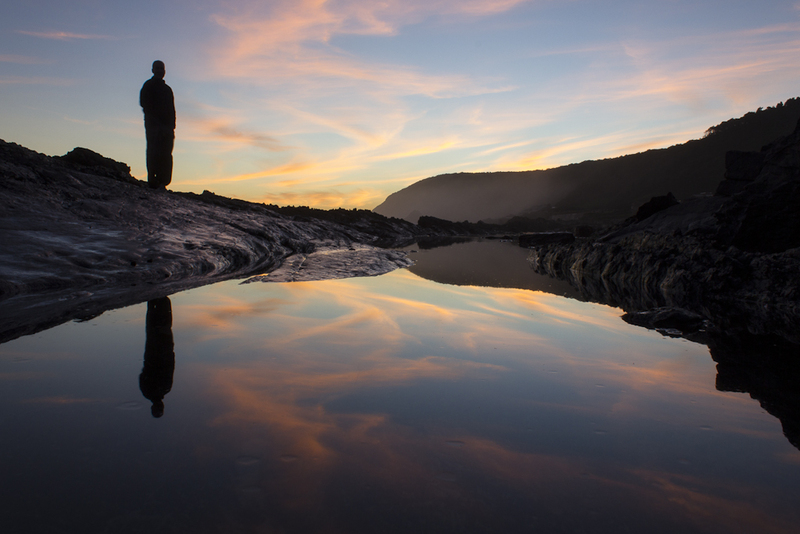 I had never been to the Tsitsikamma National Park before and I have to say it was spectacularly beautiful. We met a couple in the caravan section who said that they’ve been coming to the park every year for a week they love it so much. 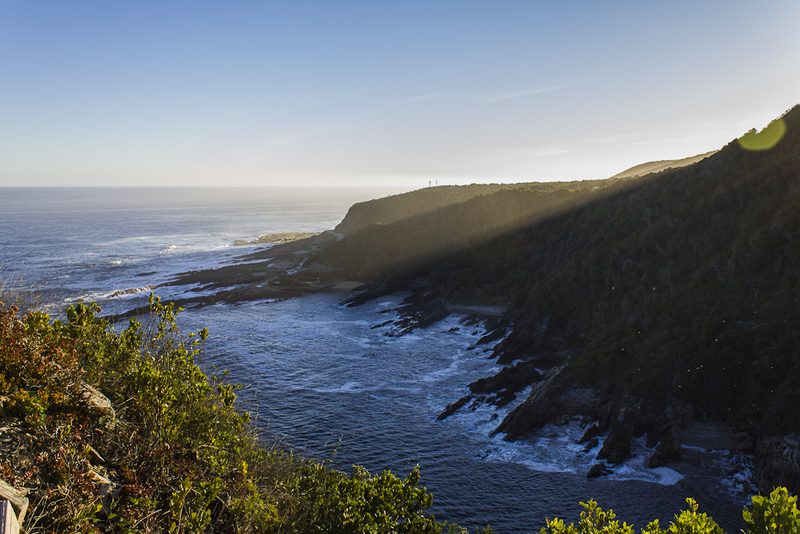 You might not be able to go on a game drive or see any of the big five in Tsitsikamma but what you can do is any number of hikes along the coast, through the forests or up to lookout points. 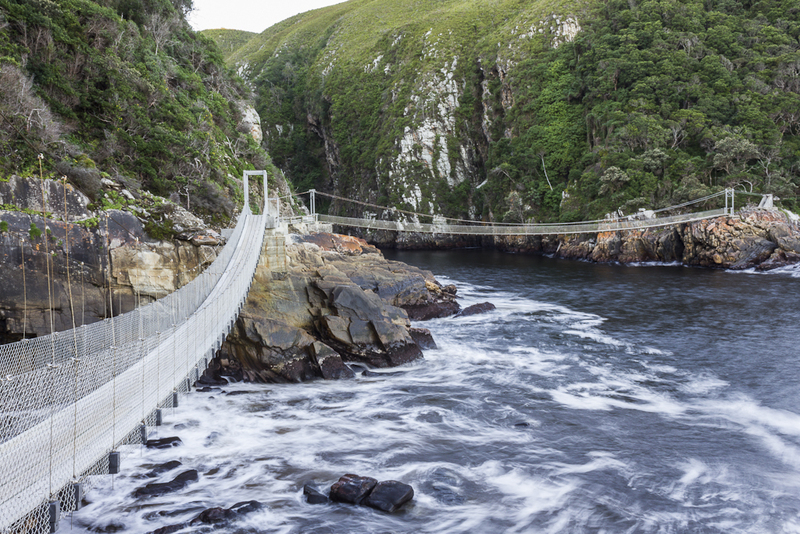 One of the things Tsitsikamma is famous for is the 77 metre long suspension bridge at the mouth of the Storms River. It’s a relatively easy stroll along well constructed boardwalks through the thick forest. Exiting the forest you arrive at the first of three suspension bridges over the turbulent water as the river meets the ocean. Walking across the bridge you get a glimpse up the gorge which you can paddle up on kayaks and as much as I would have liked to do this I feel it would be more enjoyable in the summer. 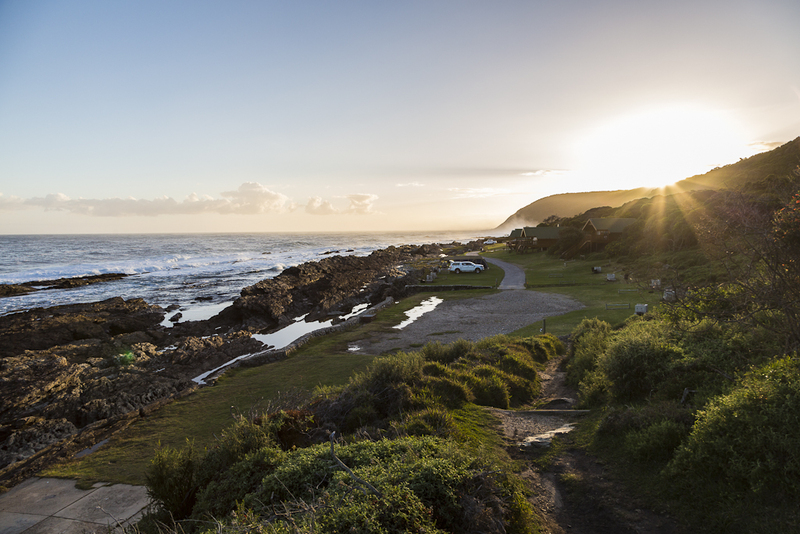 Most people simply cross the bridge and turn around but if you’re fit and have the time I can highly recommend continuing up the hill on the other side of the bridge where you will be rewarded with this fantastic view looking back down onto the Storms River Mouth and Tsitsikamma National Park. 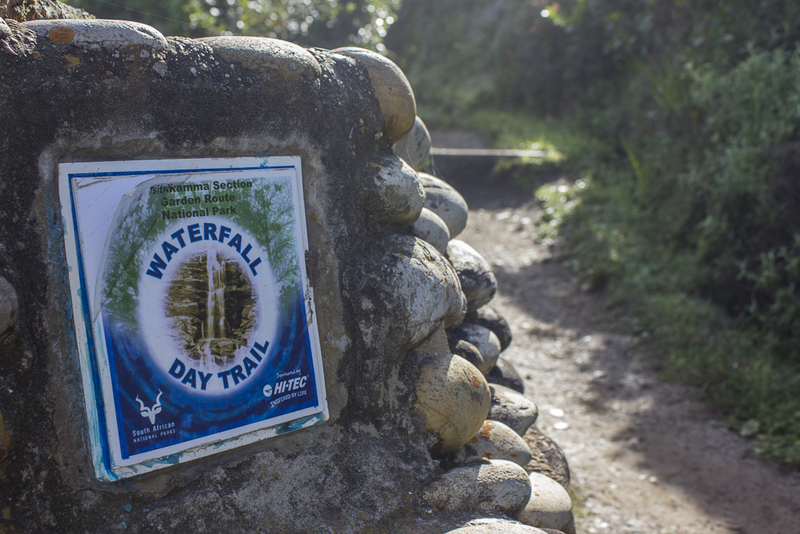 On our second day we packed a picnic lunch and hiked the Waterfall Day Trail, which is the start of the well known Otter Trail. 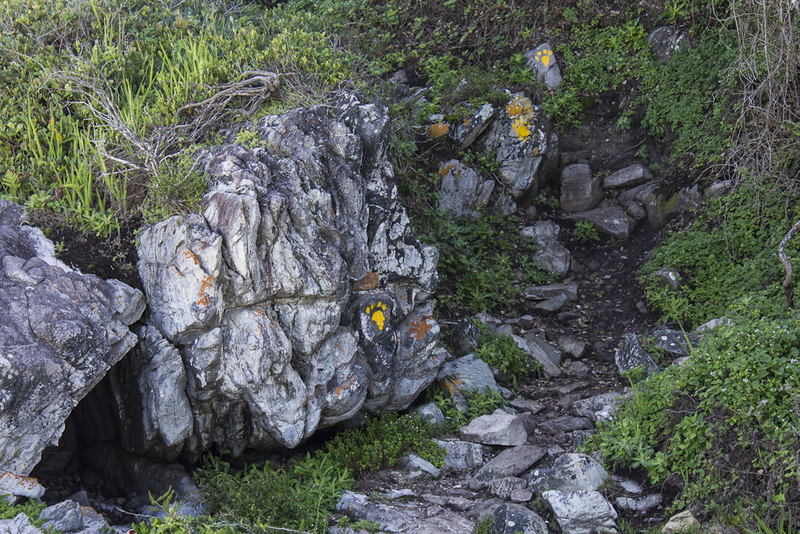 Well demarcated with little painted paw prints you hike through forest, over boulders and up wooden ladders along the coast with waves crashing beside you all the way. Just over an hour later we came across the breathtaking waterfall of brown brackish water flowing over the top of the cliffs above into the blue sea below, a perfect picnic spot. All too quickly our stay was at an end and not wanting to leave we took drinks down onto the rocks on our last evening for what was shaping up to be a stunning sunset, and we weren’t the only ones. This entry was posted on June 9, 2013 by Rory Alexander Photography. 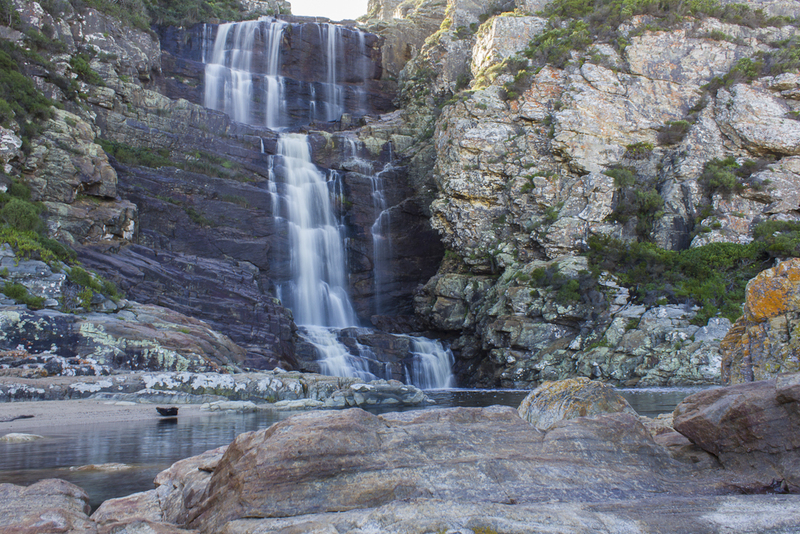 It was filed under Travel and was tagged with adventure, coast, Environment, forest cabin, Garden Route National Park, hiking, nature, otter trail, outdoors, photos, pictures, road trip, storms river, travel, Tsitsikamma, waterfall. Stunning scenery – so lush, so refreshing. Definitely looks like a place that would be difficult to leave. We were lucky with the weather but indeed a place that is refreshing for the soul. Had a fantastic time and thanks for leaving a comment. Your blog looks very cool btw. Wow the last two pictures are superb!!! Thank you, the sunsets along this coast seldom disappoint. You are truly lucky to live in such a spectacular place! Indeed, the hard part is not taking for granted. for sharing them and hope to see more. Thank you Carolyn, I really appreciate the feedback and hope you enjoy the many more to come.